In an exclusive Cape Town event, Heavy Chef and Xero are launching a book entitled The Heavy Chef Guide To Starting A Business In South Africa. The book is written by Heavy Chef CEO and Founder, serial entrepreneur Fred Roed, and published by Xero and Heavy Chef. It is around 160 pages of great startup tips and packed full of lessons gleaned from Roed starting and exiting a successful business, as well as input from Heavy Chefs that have spoken on the Heavy Chef events stage over the past decade. The Heavy Chef Guide To Starting A Business In South Africa is the first of many of these guides and hopefully will provide a huge amount of focused value for South African startup community members. Roed will be joined on stage by Mr Andre de Wet, one of Africa’s most renowned entrepreneurs. Andre started iFlix Africa, part of iFlix International Pty Ltd, the world’s leading sVOD service for emerging markets. This streaming media service is now live across a multitude of African territories with an international audience of more than 11 million subscribers. Before iFlix, having returned to SA after 7 years in the UK and Asia, he built the website and mobile app, PriceCheck, to be the 5th most visited e-commerce website in Africa. 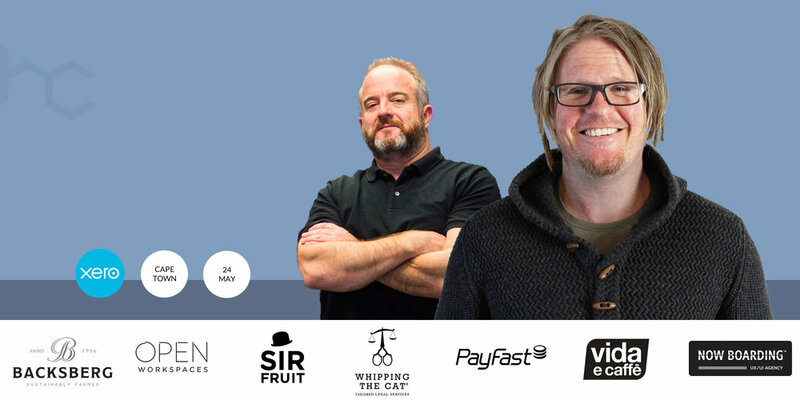 Roed and De Wet will deliver short, punchy presentations on their respective lessons learned - followed by a conversation on stage on the book, greatest challenges, starting a business, running a business, on selling a business. Attendees will receive complimentary Backsberg red wine, Vida coffee, Sir Fruit juice, Joe & Co date balls and Dr Toms Kombucha drinks. Every ticket bought results in a seat and a signed book. Roed will be available to sign personalised messages.